borderline europe - menschenrechte ohne grenzen e.v. Abschlussbericht der Universität Utrecht zum EU-Türkei Deal | borderline europe - menschenrechte ohne grenzen e.v. In the context of increasing asylum and migration flows we observe an important policy move towards partnerships between EU countries and sending countries. The focus of this project is on readmission agreements with Turkey, but with new deals in the making the results of this project will be of wider use and value for European policymakers. 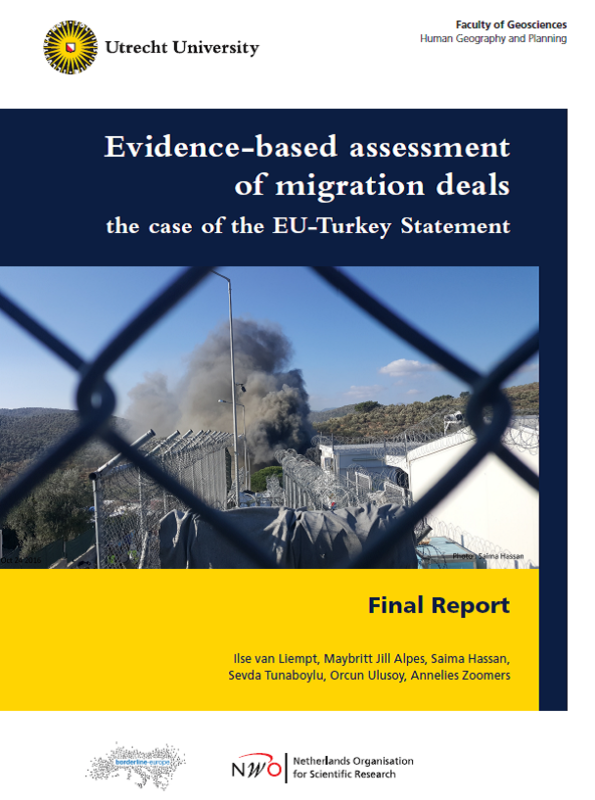 At its core, the EU Turkey deals aim to reduce irregular migration, decrease smuggling and human right violations and migrant deaths. In exchange, EU Member States promised to increase resettlement of Syrian refugees residing in Turkey, accelerate visa liberalization for Turkish nationals, and boost existing financial support for Turkey’s refugee population. This project will focus on the effects of the deals. How did the deal transform mixed migration flows and people’s reliance on human smugglers therein? What has been the impact of the deal on resettlement from Turkey to Europe? Field research (document analysis and interviews with forced returnees and migrants on the move) will be conducted to come up with evidence based insights on the implementation and the effects of the deal.